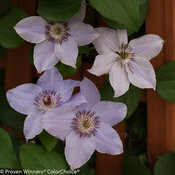 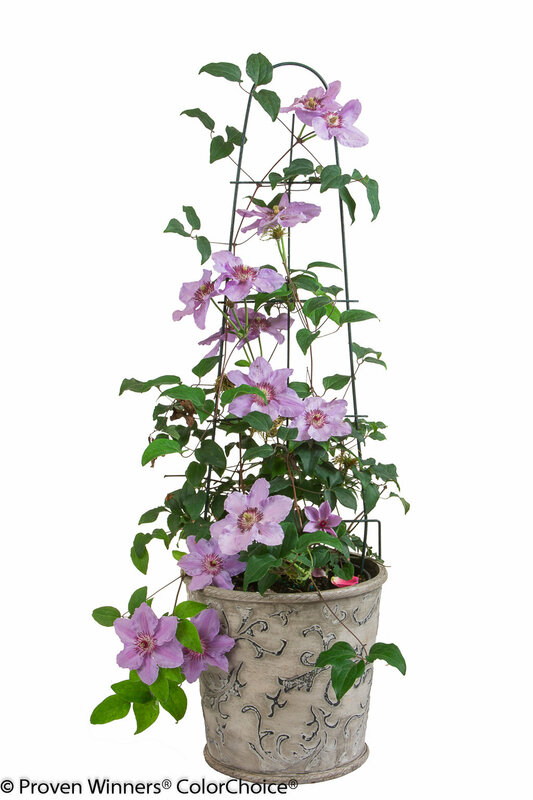 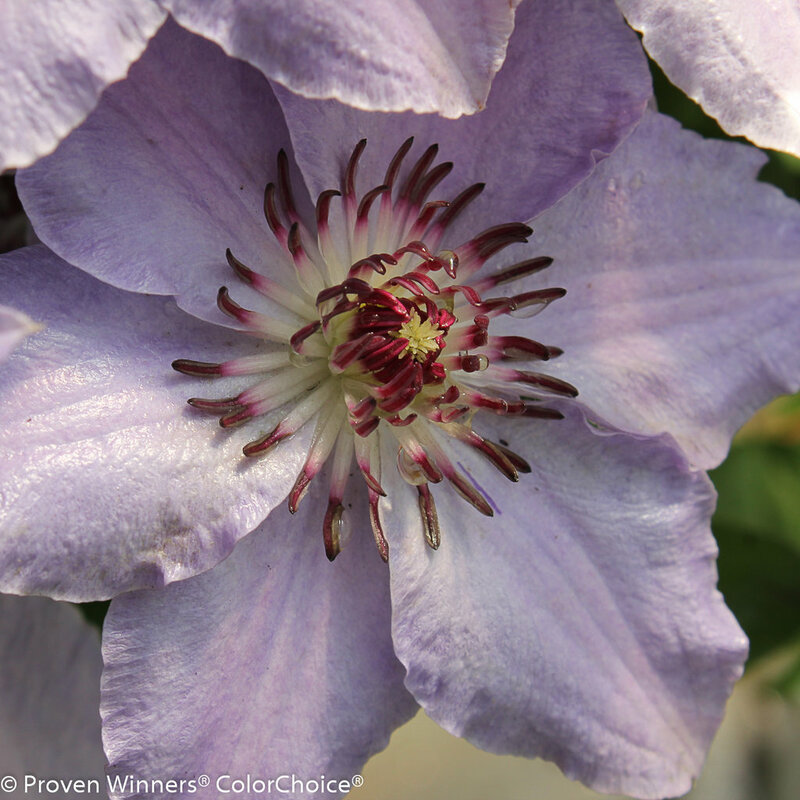 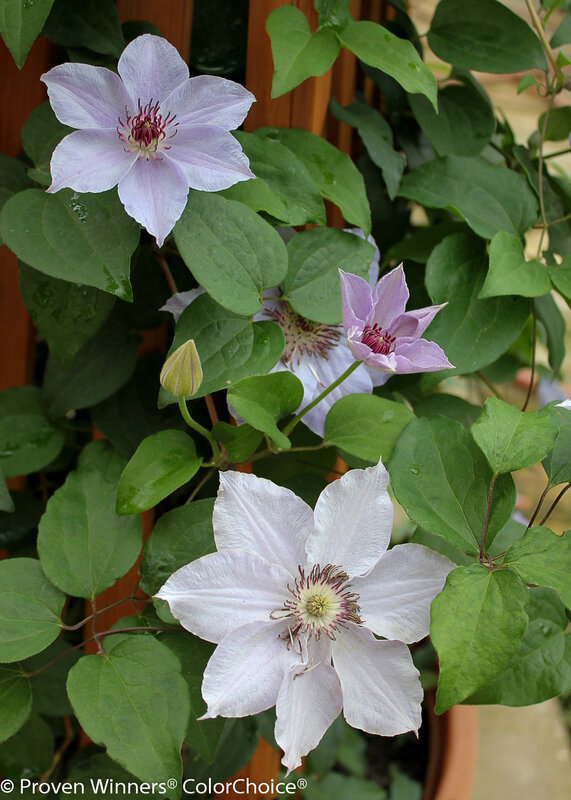 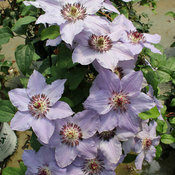 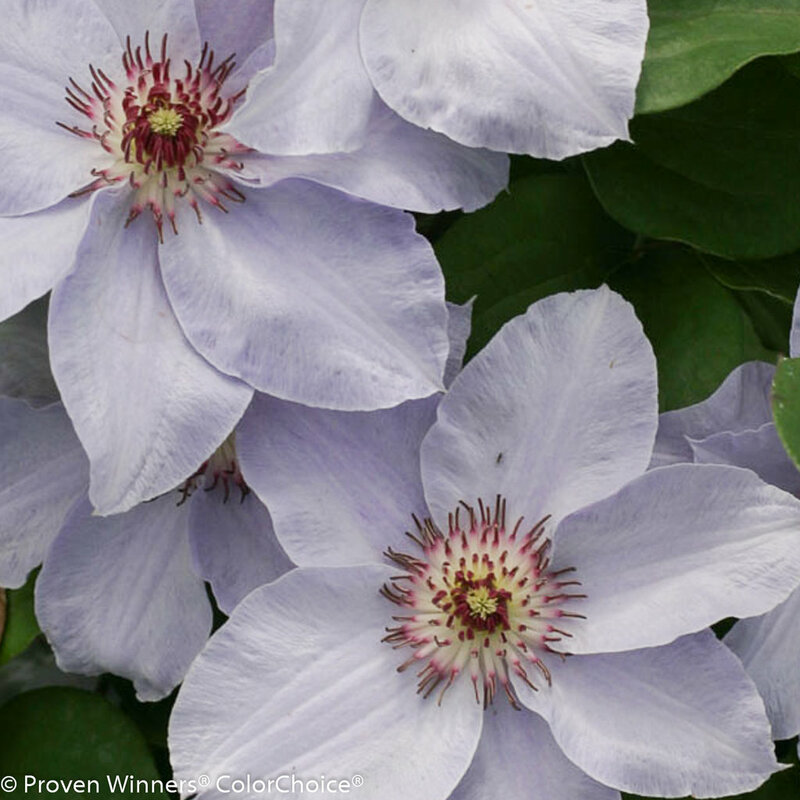 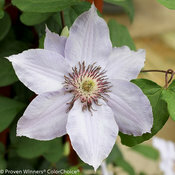 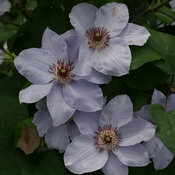 Large, icy violet-blue flowers contrast with the dark red stamens of this stunning, easy-to-grow new clematis variety. 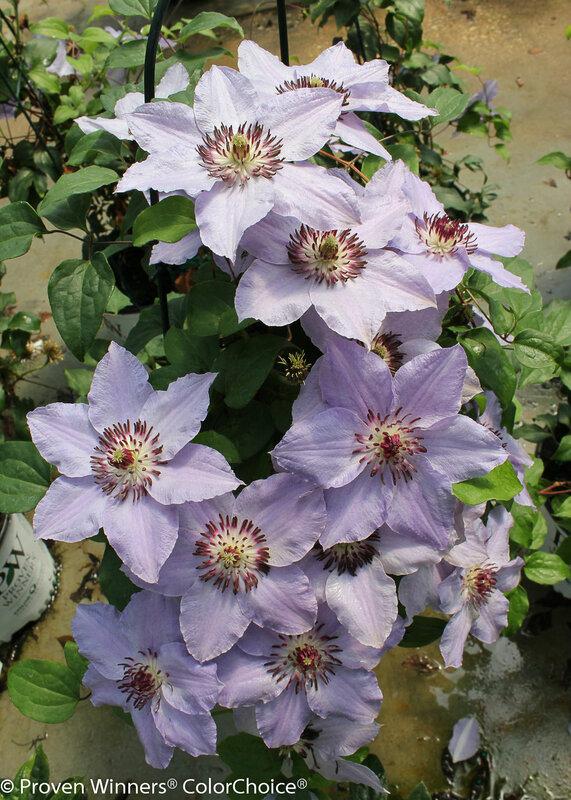 Early flowering, long-lasting blooms appear from late spring to late summer. This would look great planted with a dark- leafed shrub like Black Lace™ elderberry, or grown on its own on a trellis or fence. 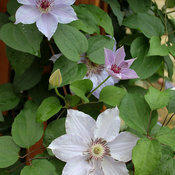 It also makes a good cut flower. 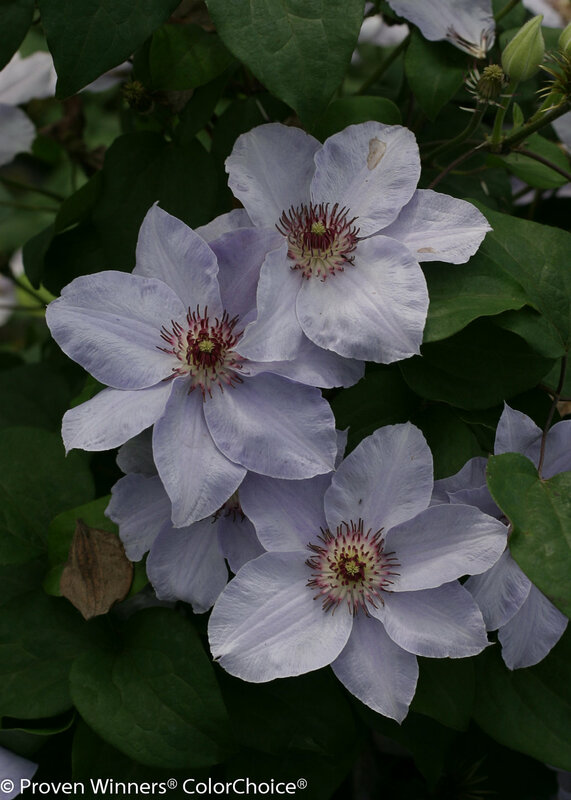 Prefers cool, moist, well-drained soils. 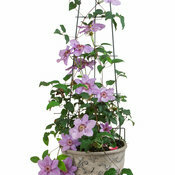 Prune it back to 2 feet in spring and apply a controlled-release fertilizer.